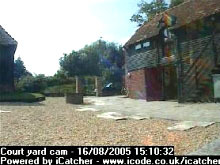 Read about some of the success stories that use iCatcher Console as the key CCTV component. In addition to bespoke customer systems, we have developed iCatcher - a market leading Digital CCTV application that allows companies to deploy industry standard hardware to create a comprehensive security solution. You can contact us using the details below. If you are contacting us for support for iCatcher Console 4.0 and later, please ensure you send the Server Report to us along with your enquiry. The Server Report can be accessed by clicking on the "Support" button on the main iCatcher Console menu bar. Please include the Server Report where available. Google maps are now available of our area. Click the link for our browseable map.